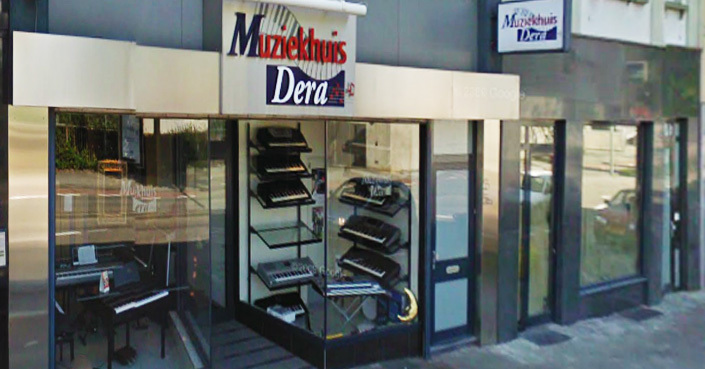 5 USB-Sticks (2016 Ketron software voor speciaal SD9) bij Muziekhuis Dera verkrijgbaar en te beluisteren. Prijs € 69, - per stuk. Player Midifile, Wav, Mp3, Mp4, Txt, Pdf etc..
KETRON keyboards have always been recognized for their sound quality and the special touch of their arrangements/styles.Following this tradition, KETRON introduce once again a new instrument with unique musical character, new technology, new functions and new state-of-the-art sounds.Fully compatible with its predecessor SD7, now more than ever the SD9 is the right choice for the professional live entertainers, the home studio producers as well as the hobbyist. The SD9 features 2 brand new superb stereo Grand Piano sounds, Classical and Modern, and a new and authentic vintage Electric Piano. 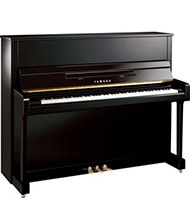 With their uncompromised multilayer sampling, long natural decay and very high sound quality, these pianos surpass anything ever offered on an entertaining keyboard. Certainly a main, basic purpose for any professional performance and composition. The SD9 contains also a massive, renewed sound library with new Orchestral Sounds featuring Electric and FM Pianos, Strings and Brass as solo or section, Basses, Synths, Guitars and original tone wheels Organs with true Slow and Fast rotor samples. With their natural length and vibrato, without sampling loops, some of the new solo sounds such as Violin, Flute, Oboe, Soprano, Whistle and Peruvian Flute will let you express an emotional performance like never before. Since its first introduction on the Audya series, KETRON have continued with their philosophy of implementing real audio drums performances into the arrangements. Now with the SD9, this integration reaches new heights with up to 250 new Audio Drums with Acoustic and Electronic Loops and a stunning variety of more than 400 Latin Percussion Grooves. The system ensures the compatibility with User Audio Drums @ from Audya series and offers also to the user the possibility to import new custom Audio Drums into the machine. Guitars, Gipsy patterns and smooth jazz semi-acoustic grooves. In combination with the Audio drums and bass, the Live Guitars provide the perfect rhythm section for your songs. 12 Pads for a single Scene, where each pad may sound as an Audio Drum, Bass, Guitar or Percussion Groove taking advantage of the internal Modeling or even any external Wav file imported into the machine. Single sections from the internal Styles may be imported as well and the musician can write his own arranger chord sequences. An additional Song mode permits also to manage the Scene changes automatically. The user can record in real time short sequences, well synchronized with the others parts and controlled with sophisticated play modes, for a limitless music creativity. Up to 6 Scenes are available for a single Launchpad project and up to 2048 Launchpad programmable projects. Unlike other similar tools, the SD9 Launchpad is totally interactive, letting the musician choose the root of the performance simply by playing the root chord. With Filter and a dedicated keypad area it is possible to change in real time the sounds of each pad by modifying the Cut Off and the Resonance. A great selection of over 300 Styles featuring Audio drums and Latin Grooves. Each style provides 4 Arranger, 4 or more Fills, 4 Breaks and 3 Intro-Ending with Drums, Bass, 5 chords, Groove and 3 Arranger variations. New Live Band and Unplugged styles featuring the basics: Audio Drums, Live Guitars, Piano and Bass backgrounds. It is possible to assign 4 different voices to the Right hand ( Lead ) as well as to assign them to the 4 ABCD Arranger sections. The Arranger system of SD9 is really intuitive and lets you modify the sounds, levels, effects of each style and then save it as USER Style. New Style Editing function, with up to 128 recording bars with the capability to program a new style from scratch or to personalize an already existing style. Furthermore MY LIST section allows you to group and save up to 64 of your favorite styles for instant access. A massive memory size of up to 700 Mbyte ( rewritable ) has been allocated for custom sounds and additional KETRON libraries. Remain current and on top of the game for a long time since the SD9 can be periodically updated with new sounds, drums samples or arrangements. Thanks to a new Sampler Editor menu, the user is finally able to create into the machine his own Multisample instruments or Drum sets and store them as resident. 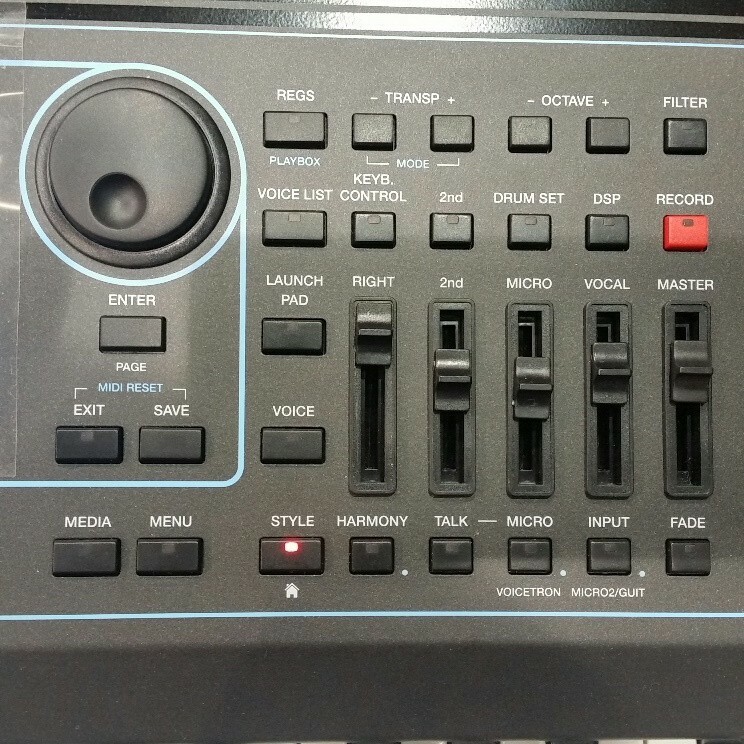 The SD9 is equipped with a dual professional player capable of playing back Mp3 type files, MIDI (different formats with lyrics), Wav, Flv, Cdg, Mp4, Avi, M4a, Jpg, and Txt. The device provides clever features such as automatic Cross Fade, (fading from one song to another), Lead Mute (excluding the lead voice from an audio track or lead track from a Midi file) and Alphabetical or Numerical Search of files within the disk. Lyrics, Text and Karaoke can easily be displayed on the screen with the ability to select colors and backgrounds for text and also output the screen to an external monitor. Navigation is achieved by using the Alpha dial and scrolling through and touching the file’s icons directly on the capacitive touch screen. You can create custom Playlists and with My Folder you can quickly address your favorite files. The Juke Box page is also provided for a quicker access to songs and a new DJ menu now gives you access to a dual virtual turntable from which you can apply special effects to the music you’re playing such as Tap Tempo effects, Pitch, Cut Off, Resonance, Tempo, Brake and Back Spin. Sync/Next mode allows you to accurately synchronize the beginning of the song (MIDI, Mp3 or Wav) with the one currently being played in order to create well synchronized real-time medleys. Furthermore, the Player is capable of utilizing Midi files which have already been enhanced with Wav or MP3 tracks, all perfectly synchronized together. The new function Restyle allows you to easily replace the monotonous drum track of a traditional MIDI file with any of the Audio Drums available for the styles. KETRON SD9 is also up to date in the regard of Video, allowing you to view and display on an external monitor (DVI) movies and musical videos. While the video is playing, it is still possible to continue performing with MIDI files or Mp3 or Styles simultaneously. 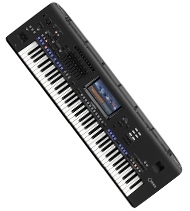 This keyboard is also able to control the PDF with the ability to display on the screen or external monitor graphic files such as Music Scores. The Modeling is a powerful application of the KETRON Arranger which allows you to select and control hundreds of templates for Drum, Bass, Piano, Guitar, Synth and other orchestral sections within a style. The acclaimed SD7’s Modeling features are now powered on the SD9 with new Live Guitars, new Bass and Synthbass lines, new Synthesizer sequences and even new Audio Drums. There’s more...you can also import into the Modeling your own custom Midi sequences to be handled within the arrangement. With Modeling, style customisation has never been so easy and creative. An Audio Multitrack function that allows the playback of multiple wave files within an audio project. The Multi-track audio is provided as an excellent alternative to traditional Mp3 and Wav files during professional Playback, with the capability to control the volume for each of the 6 tracks directly with the sliders on the panel. A track can also be assigned to the Click Metronomic (or to an individual output) that can be sent via external audio through the headphone output (Aux), very useful if you play with additional musicians. Registrations allow you to take a snap-shot and store the general panel settings, current conditions of the SD9 including all parameters and functions. Four storage Banks each capable of holding 1024 Registrations are available. 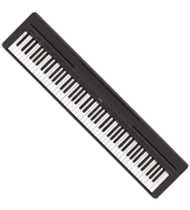 These Registrations and Song settings can be quickly recalled using also the numeric keypad or externally via MIDI. With the use of a dedicated App, it is also possible to manage the Song settings and the Registrations from the keyboard based on external data library‘s songs, texts, etc. 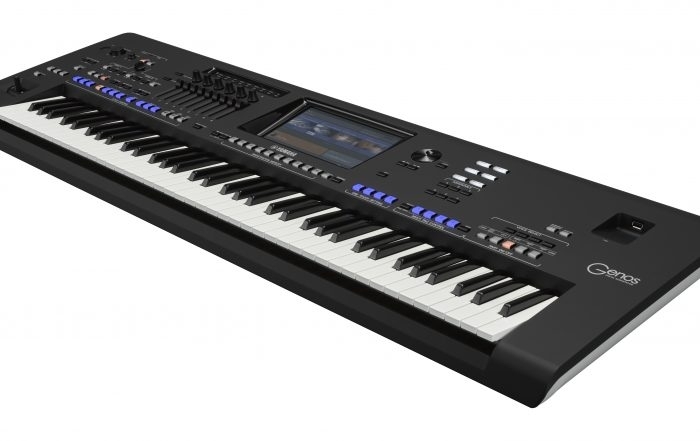 The SD9 is equipped with a 76 semi-weighted keys with a smooth dynamic control ( 4 curves ) and aftertouch. 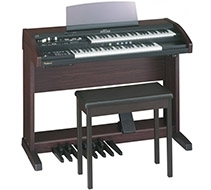 Several functions such as Morphing and Filter may freely be assigned to Pitch and Modulation wheels while the Sustain pedal can be used also as a switch for Rotor Slow Fast on the organ tones. The SD9 incorporates a new powerful DSP with Chorus, Reverb, Phaser, Tremolo, Flanger, Echo Delay, Overdrive, 4 parametric equalizer and 2 independent Insert Efx section with Hi quality Distortion, Rotary and Autopanning effects. The user can insert up to 10 effects in a chain. The new capacitive 7" Touch screen offers a fluent control on the display for all the keyboard functions allowing for smooth and precise slider controlling or instant sound launch. 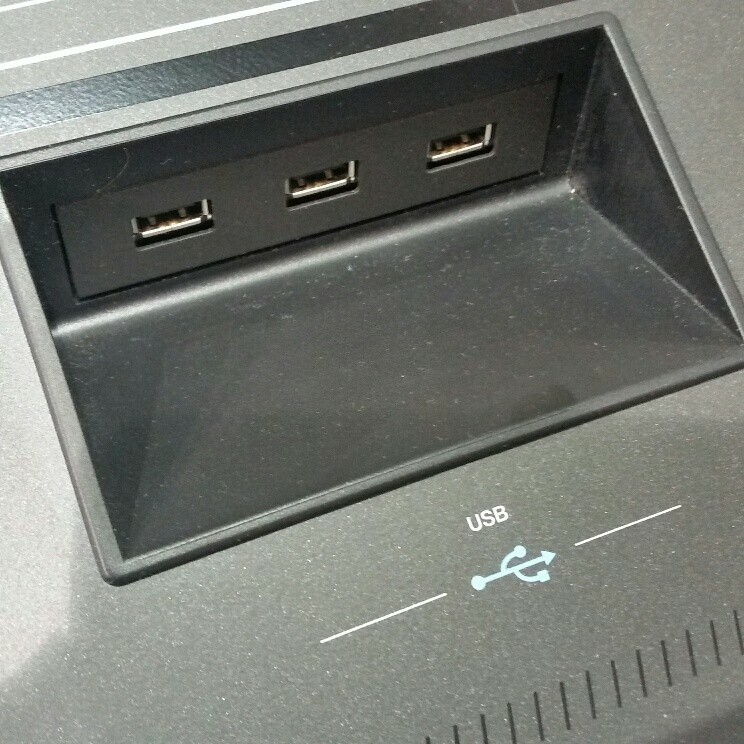 Some of the SD9‘s multimedia functionalities include 3 USB Host jacks for connecting USB flash drives, external hard drives, CD Rom or other digital devices such as tablets and smart phones. The USB device connection at the back allows you to connect SD9 to a computer for easy file management straight from your computer. An optional internal hard drive can be installed (Type SATA 2/3_ 2.5" ) to expand storage capability,backup important files and file management. Thanks to the intuitive operating system, navigating the instrument is easy even without the help of the user Manual (which by the way resides inside the keyboard as Html multilingual file). Brightness control allows you to adjust the brightness of the display which is especially useful in dark or sunny conditions. You can easily configure the SD9 to suit your playing style. If you are a pianist, you can use the PIANIST mode to play as though you were playing a real piano while still being able to control the arranger. If you prefer to play with Manual bass while still using the Arranger, BASSIST mode is your option, a mode which utilizes sophisticated logic to control harmonies performed with both hands in real time. A new dedicated menu has been developed for the Accordion. Classic: grants the accordionist total manual control over the SD9‘s voice sections. 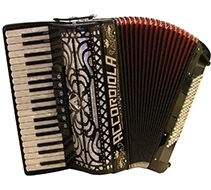 The accordionist can program complete manual orchestrations with 2 voices allocated to the left/chord and 3 voices to the right and lead voice, and all these set ups can be stored in a Song setting/Registration for instant recall on stage. Style: this mode lets you control the arranger with your Left Hand. 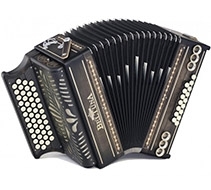 With the Bass To Chord, the accordionist can also define some tonalities which are normally not available in the normal accordion technique such as Minor7th, 7th Augmented, 4th and others, especially useful in the context of light music and jazz. For organ players, an Organ mode is also provided making it possible to control the bass from the Midi pedalboard ( Mod. KETRON PMK 8 ) thus reproducing a typical condition in a classic organ performance. The keyboard has a symmetrical microphone input (XLR) with adjustable gain, separate audio output and effects Reverb, Echo, Equalizer, Noise Gate, Compressor, Pitch Shift with 10 preset combinations and 10 user programmable. The Vocalizer includes 4 harmonization Voices (Voicetron) with Right and Left Harmony modes, Unison with the possibility to assign its controls to the Arranger, Lead voice or Midi file. 76 semi-weighted keys. 4 velocity curves. Aftertouch. Portamento. Wheels: Pitch. Modulation.Transposer: +/- 24. Octave: +/- 2. 128 note. Multitimbral 48 parts. Lcd color. Tft 7". Touch screen capacitive 800 x 480 dots. Brightness control. 670 sounds. 6 sound banks. Voice list. 48 drum sets + stereo special kit. Live drum modeling. Up to 700 Mb flash free User programmable. 368 preset voices and user voice. 2nd voice. V-tone. Double up/down. Harmony. EFX insert. Voice editing. more than 600 internal drum loops. Audio drum with wav streaming and time stretching. 450 latin percussion grooves. over 100 audio live guitars templates. 300 styles with audio drum and grooves. New live band styles. User style section. Midi drum mixer & Remap. 4 arranger ABCD. 4 fill. 4 break. 3 intro. 3 ending. 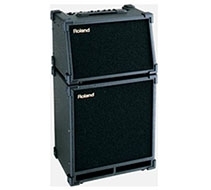 Drum, groove, bass, chords 1-5, live Guitar, lower 1-2. Auto fill. Fill to arrange. To end. 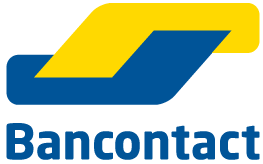 Reintro. Key start. Key stop. Restart. Pause. Count in. Drum boost. 4 voice set. Voice to ABCD. Voice & vari. 5 user tabs. V-tone. Pianist, bassist, manual bass. Bass to lowest, bass to root. Interactive modeling library with audio drums, live guitars, bass, latin groove, piano, guitar and orchestral templates. Song Mode. Chord sequence. Audio & Midi files import. Up to 2048 launchpad projects. 12 pads with 6 scenes. Double player. Files recognized: Wav, Midi , Mp3, Mp4, Avi, Mov, Flv, Cdg, Jpg, Txt, Pdf. Marker. Sync/Next. Autoplay. Lead mute. GM part. Lyric off. Cross fade. File search. Play list. My folder. transposer. Time stretching. Metronome click. Midi multimix. Song drum restyle. Audio and midi synchronize. 5+1 audio tracks with separate slider control. Metronome click out. Double audio and midi player with tempo & pitch stretching, pfl, sync, tap tempo, cue, fx pad, backspin, brake. Play list, my folders, SFX special effects. Jpg & Mp4, Avi, Mov, Flv, karaoke background, movie/PDF to RGB, pic list, autoshow. Video monitor out, karaoke lyric/mirror. Disk, Midi, play modes, audio edit, language, footswitch, preferences, controls, video, reg. Set up, arabic mode. Internal storage: SSD card 16Gb. USB: 3 host + 1 device. External storage: removable HD SATA 2/3 2,5 ". Internal multisample creation and storing functions. Interactive modeling library with massive audio drums, live guitars, bass, latin groove, piano, guitar and orchestral templates. Master keyboard. Accordion style and classic. Organ (with pedalboard). Guitar mode with efx (thru input). 4 bank x 1024 regs. Full panel and function programming. Type: chorus, reverb, flanger, phaser, tremolo, rotary, echo delay, tap delay, equalizer, distorsion, amp simulator, compressor, filter. EFX insert (54 types). 10 programmable insert chains. Filter and resonance live controls. HD recording: 1 stereo track. Loop. Audio edit with cut, normalize. Midi recording with phrase and song. XLR input. Gain control. Volume. Reverb. Micro On/off edit. Talk. 3 voice vocalizer. 10 voicetron presets + 10 user. In1 (Gm), In2 (Keyb). Out. Thru. 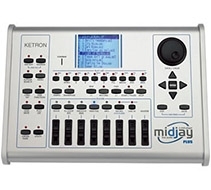 Midi set up: standard, computer & sequencer, keyboard right, accordion, player, style. Left/right stereo, pedal volume, sustain pedal, micro out. Stereo headphone. Aux separate out assign (to drums, right, bass, click). Footswitch 6 or 13, volume pedal, sustain pedal, hard case, bag. 108,5 x 14,5 x 40 cm (42,5 x 5,7 x 15,7 inches).